online ‘in the wait’ community group. Happy Sunday friends! 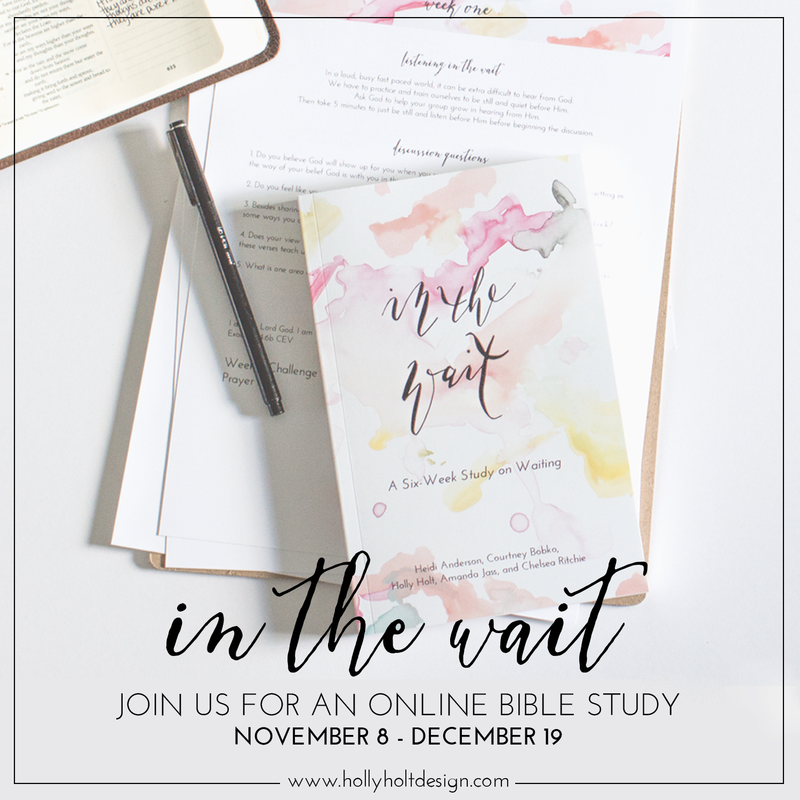 I am excited to share with you that an awesome new part of the In the Wait study is coming soon – an online community small group! Yes, that’s right! So many of you have asked for ways to connect with other women doing the study and so that’s just what we are creating! Starting on November 8th and going until December 19th, those who have a copy of In the Wait will receive an invitation to a secret online Facebook group. Each day there, me and another one of the book’s authors, Holly, will help to lead conversation and discussion about that days devotional. This will give you and the other women in the group a place to start sharing, opening up, and talking about what you are learning. The purpose of this group is to build community, help create accountability, encourage you right where you’re at today, and provide you with a safe place to process through what God is teaching you. All women, in all different seasons of waiting, of all ages, who have the book, are invited to join! And the timing of this study is perfect. It will usher in some daily quiet time during the busy holiday seasons and into advent. I truly believe God is going to move and stir in your heart as you continue to press forward into His. If you are sitting there with your book in hand, thinking, I already started mine!, please, continue on! We would love for you to still join the group and go through with us what you learned! If you have been waiting for the right time to start it, perhaps November 8th is it! If you haven’t yet ordered a copy, but are interested in joining this, I will share below all of the details on how to order (plus a limited promo code to get 10% off!). 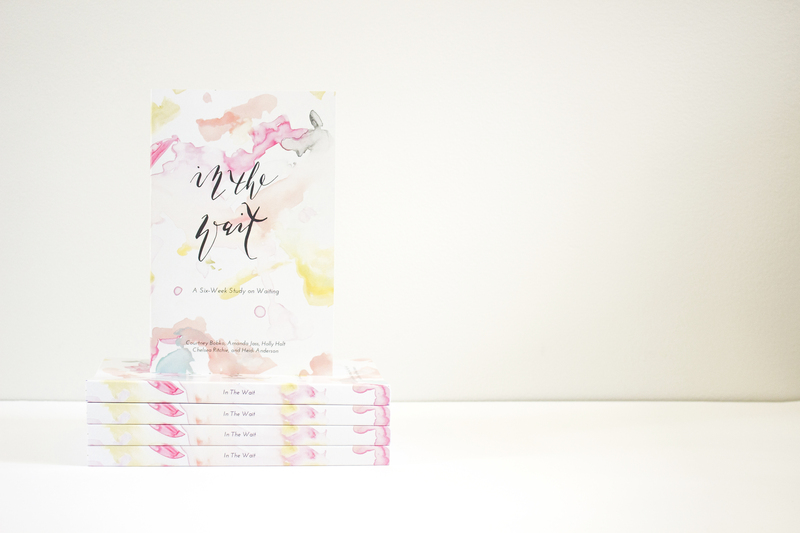 If this is the first time you are reading about the In the Wait devotional, you should know it talks to women like you and me, women whose lives seem to weave in and out of seasons of waiting. It could be an exciting wait, like for a wedding day to arrive or a new house to close; a mildly annoying wait, like waiting for the end of a school semester or working to pay off a small tedious loan; or, chances are, it’s a hard, stressful painful wait. Family health scares, infertility issues, wondering if you will ever find someone to marry, heart-wrenching marriage battles, or chronic loneliness. The reality is, seasons of wait have the potential to take our minds hostage and leave us exhausted and burnt out, feeling like we are living life in one big transition moment. Our goal for this study is to show that we can take these seasons of waiting – exciting, easy, hard and painful ones – and grow closer to God in them. It is possible to live life FULLY while being in an unknown season. 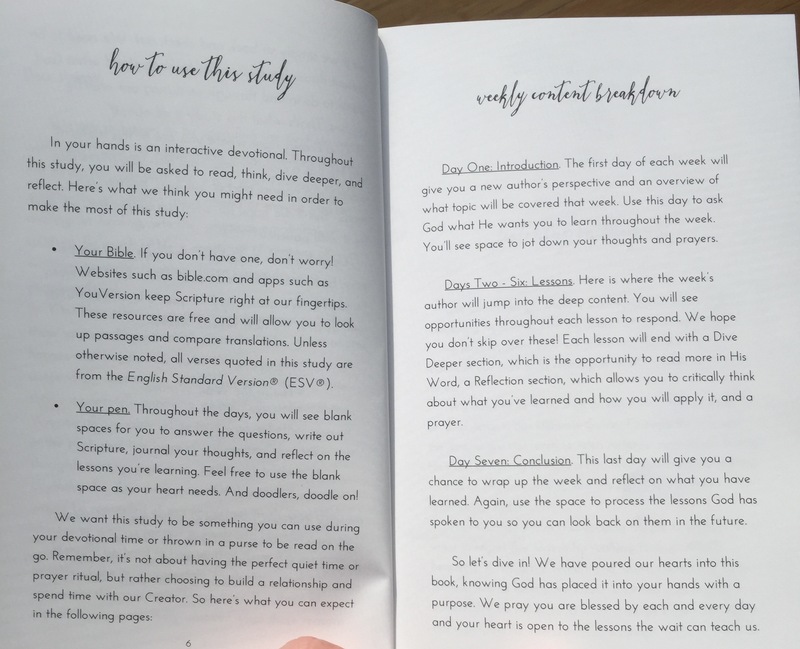 Some of you have asked what the book is like on the inside and how it works. Here’s a sneak peek at the beginning pages that explain what you need and how the days are broken up! So, with that said, join us for this online community group starting November 8th! Pray about it and see if God is nudging you to take this step towards Him. If you are reading this and don’t have a copy but want to take part of growing your relationship with Jesus during your season of waiting, you can order your copy below. Shipping is FAST and, perhaps you want to gather up a few of your friends and go through it together. I find that having others in my life going through something with me is so helpful. (Orders over $50 in the US are FREE shipping!). Even better, for ONE WEEK ONLY, if you use the promo code TRIALSBRINGJOY at the checkout, you will receive 10% off your book order! YAY! Also, I am running a giveaway over on Instagram for a free copy and if you win it and have already purchased the book this week; your order will simply be refunded. I wouldn’t delay on ordering if you want in since supplies are limited and going fast! (You can find me and details for the giveaway over at @Chels819). If this is something you are excited about, help us spread the word about this community group – repost this image on Instagram or any other social media website to help spread the word. That’s all! I’m so excited to engage with each of you and chat about our seasons of waiting. God has BIG things in store for each one of us as we push past the worried, anxious and overwhelmed season of waiting. With Him, we can claim victory and find a joy-filled life no matter what our circumstances are.